I’m the director of Selection Meubles in Amougies, a 13,000m2 shop dispatching both design and standard furniture throughout Europe. 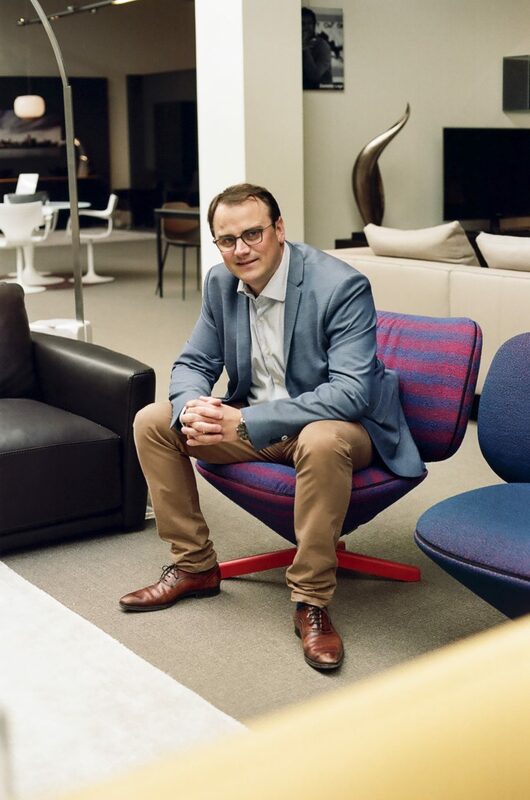 Selection Meubles is a family business that has been running since 1920, so my brother and I grew up in the world of design. I take care of the management, purchase, accounting and selling of the company alongside my wonderful team. My brother and I opening three design spaces over the course of a decade. A friendly person with a good sense of humour and a unique personality that you can only find in Belgium. Everyone’s always welcome in Belgium – we’re a small country with a big heart. Stromae, for his globally popular music. Kevin De Bruyne, for being an extremely talented soccer player. Magritte, for his world-renowned style of painting, to the point where we have an entire museum dedicated to him in Brussels. A restaurant specialising in moules frites. Bruges, because it’s the Venice of the North. A homemade burger with Dallas sauce. I tasted the Dallas sauce at a barbecue with friends. Belgians are very conscientious and won’t stop until the work is done.